So much more than a theatre. Visitors to the Wales Millennium Centre may enjoy blockbuster West End musicals, opera, ballet and contemporary dance, hip hop and stand up comedy, art exhibitions, workshops, training days, free daily foyer performances, guided tours, bars and restaurants… there really is something for everyone. Come and see Cardiff on a WhereWhenWales tour. An independent, family-run business established in 2002; they offer great day tours of Wales for individual travellers as well as large groups. Awards achieved include ‘Top tour operator in Cardiff’ by Lonely Planet Wales Guide for the past ten years, Certificates of Excellence 2013 & 2014, and voted a Winner in 2015 by Trip Advisor. Think you know Cardiff? These old streets hold many strange stories, the buildings even more so. Invasions, Floods, Horror and Agony executions: Amid the filthy slums that became the final resting place for so many, lost souls still remain trapped in the shadows of the past and whisper their stories. Since opening in June 1999, the Millennium Stadium has welcomed, on average, over 1.3 million visitors per year. There’s nothing like watching a football or rugby match in Cardiff’s national ground. International matches are great for those with kids – the whole city takes on a carnival vibe. The new Desso pitch – installed this summer – means the stadium retains its reputation of being one of the most modern stadia in the world. The Clink Charity aim to reduce reoffending rates of ex-offenders. Working in partnership with Her Majesty’s Prison Service, The Clink run projects that train practical skills to prisoners. The Clink Restaurants allow prisoners to learn, engage with the public and take their first steps towards a new life. For lovers of the long-running BBC show, immerse yourself in a world of Doctor Who. 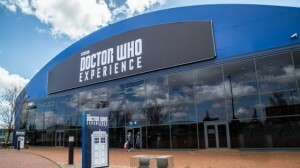 General admission tickets to the Doctor Who Experience give fans the opportunity to enjoy two thrilling adventures: ‘The Interactive Experience’ an interactive adventure with the Doctor, and ‘The Exhibition Hall’ the world’s largest collection of Doctor Who props, sets, and costumes. Fans of sci-fi should also head to Cardiff Bay afterwards to check out Ianto’s shrine, and the waterfall that was the entrance to the Torchwood HQ. Head south from Cardiff to the small settlement of Swanbridge; when the tide is out you can walk over to Sully Island, which was an old smuggler’s haunt. There is still a visible shipwreck here, and the island itself is wild and overgrown. With its past stretching back to the Bronze Age, don’t be surprised if you encounter a piece of history.